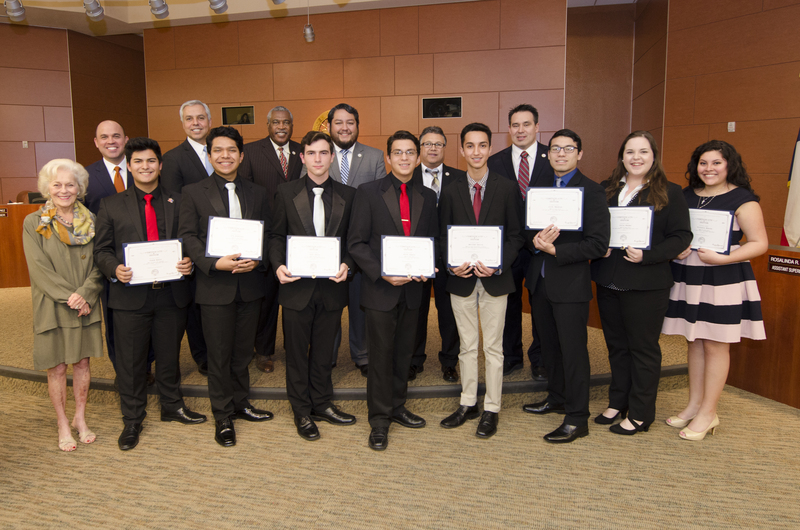 Select high-school students from the Harlingen Consolidated Independent School District music programs recently received one of the highest honors a music student can achieve – to be recognized among the best in the state of Texas. Eight HCISD students earned spots on the 2017 Texas Music Educators Association All-State ensembles. To qualify for All-State ensembles, students went through a series of audition rounds, in which their musical skills were put to the test and as each level of auditions increased so did the difficulty and competition. Over 1,700 students are selected through a process that begins with over 60,000 students from around the state vying for this honor to perform in one of 15 ensembles including bands, orchestras, and choirs. As a result of their All-State qualification, selected HCISD students will travel to San Antonio to participate in the TMEA Convention/Clinic on February 8-11. TMEA All-State Concerts will be held Saturday, February 11, in the in the Henry B. Gonzalez Convention Center.